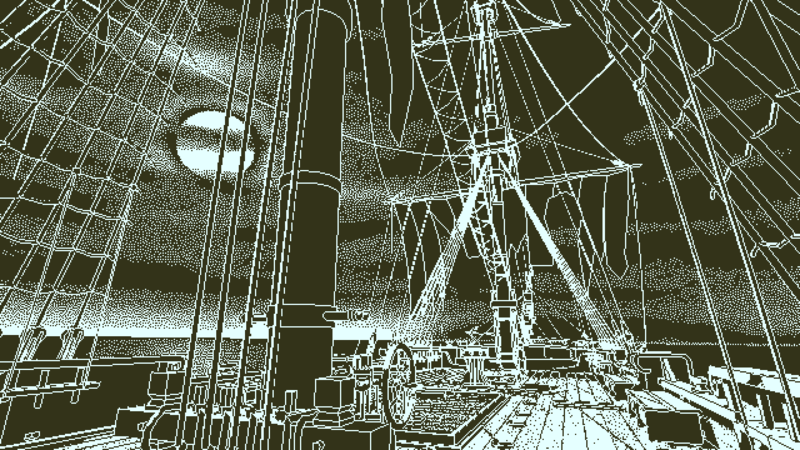 Return of the Obra Dinn, the latest game by Lucas Pope (of Papers, Please fame), tasks you with investigating and recording the fates of the entire crew of an abandoned ship. Unlike many contemporary videogames with mysteries to solve in them, however, you are actually expected to use deduction skills in the process instead of simply progressing through the story and waiting for the game itself to tell you the answer. And it’s not in the old adventure game/Phoenix Wright mold of deduction, either, where you’re expected to suss out the logic of the developer through in-game clues. The closest known analogue to how Obra Dinn handles deduction is actually the board game Clue. Both games ask you to identify a cause of death as well as a culprit with some amount of utilizing the process of elimination. But Clue is actually a bad example of deduction in games, as it nakedly uses the aforementioned process of elimination as its only axis of information. Everything else is chance. But Obra Dinn does use techniques similar to many better tabletop deduction games to arm you with enough information to solve everyone’s fates without feeling like you’re grasping at straws. The big problem with Clue is that it gives you no information other than what the solution isn’t, but Cryptid does something so simple that it’s revolutionary in comparison: you make a guess on a map as to where the titular Cryptid is to another player and they’ll tell you if it could or couldn’t be there based on the geographical features of the space. This is a huge improvement on the old Clue formula because, while there’s still some guesswork involved, you actually start to sculpt an answer in your head based off of the information that you’ve gotten. You’re probing instead of grasping. While you don’t get the instant gratification of an affirmative or negative response, Obra Dinn does something similar, where it will tell you if you’ve gotten a fate correct only every time you have three correct. While Cryptid is a much simpler game built around one correct answer, Obra Dinn has sixty, but each one builds off of every right answer that you figure out, which means the correct answers here act like the affirmative and negative answers in Cryptid. You begin to figure out where every piece of information fits together to form a complete whole, which lets you find more fates based on what the clues from the fates you’ve already solved allowed you to narrow down. Again, though, Cryptid is a bit simple as a basis of comparison, and you don’t have the same room for experimentation that Obra Dinn requires of you. For that, we look to Alchemists, a game where you have to figure out the chemical makeup of different alchemical ingredients. To do this, you combine two of them to make a potion, which will be positive, negative or neutral. The resulting potion will hint at the true nature of the ingredients used and will let you narrow down your options before publishing your findings at the end of the game for points. The same is true for Obra Dinn, where you’ll often put in an answer you’re not sure about to see if it happens to fall into place and once you get three right answers, your experimentation will have born fruit. The big thing that the rule of threes in Obra Dinn brings to the game is a sort of fog that hangs over everything you do. You’re never quite sure if you’ve gotten a handle on what happened in a given scene, which makes the process of deduction unsteady and exciting. This fog is similar to what happens in social deduction games like Werewolf or Coup, where you’re never quite certain you know who is who in a given game. All you can do is analyze their behavior and make a guess using your best judgement. Throwing people’s motivations into the mix is where Obra Dinn most clearly crosses over with tabletop games, as you’re constantly looking for context clues as to the motivation of everyone on the ship and how they intersect with each other, leading to even more revelations. It’s a bit more one-sided than social deduction games, but the lack of certainty is a key part of Obra Dinn’s magic, and something it certainly shares with the social flavor of deduction games. 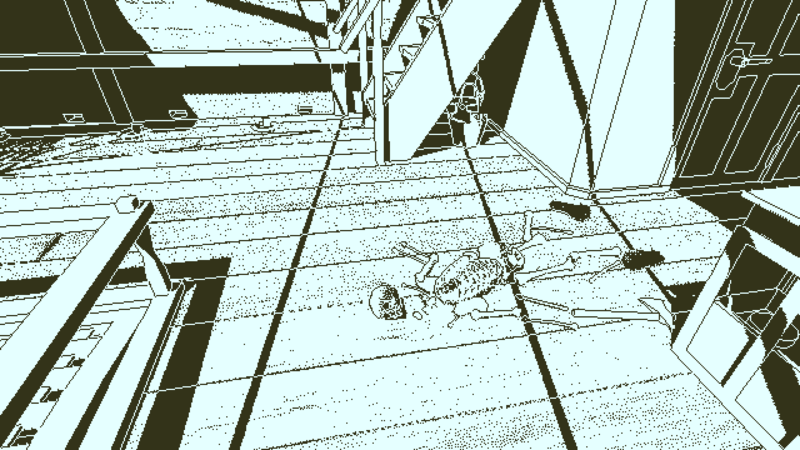 With Return of the Obra Dinn, Lucas Pope created a rarity among videogames: a story where you’re expected to figure out what happened on your own, and report the results to see if you were right. And though the game doesn’t have that many contemporaries in the videogame space, the very similar lines of gameplay that occur in tabletop deduction games cannot be denied. 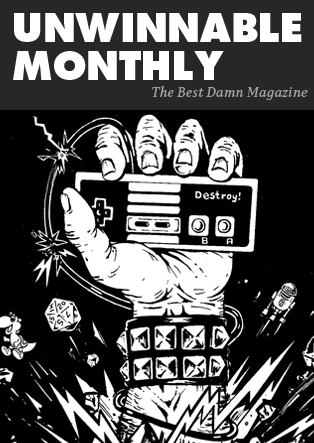 The truth is we could use more videogames like Obra Dinn, that use deduction techniques trailblazed in the tabletop space, to expand what videogames are capable of.